A few days ago, I overheard a conversation where one of the people said, “It’s chilly in here.” That statement sent my mind through a wormhole to my childhood, a time when I did not understand the concept of that phrase. When I was a kid, I never understood why people used the word chilly to describe it being cold. Why would they say that when my mom’s chili was never cold? In fact, it was hot to the point where I had to crumble a bunch of crackers into it and blow on it before I could taste it. If my mom’s chili was hot, then why did people say it was chilly when they were cold? My brain could not wrap itself around this idea. It’s cold enough to kill hogs. I can see my breath. All sorts of things could be said other than chilly. Yes, I have learned that chilly and chili are not the same. I have also learned that there are things out there hotter than my mom’s chili. 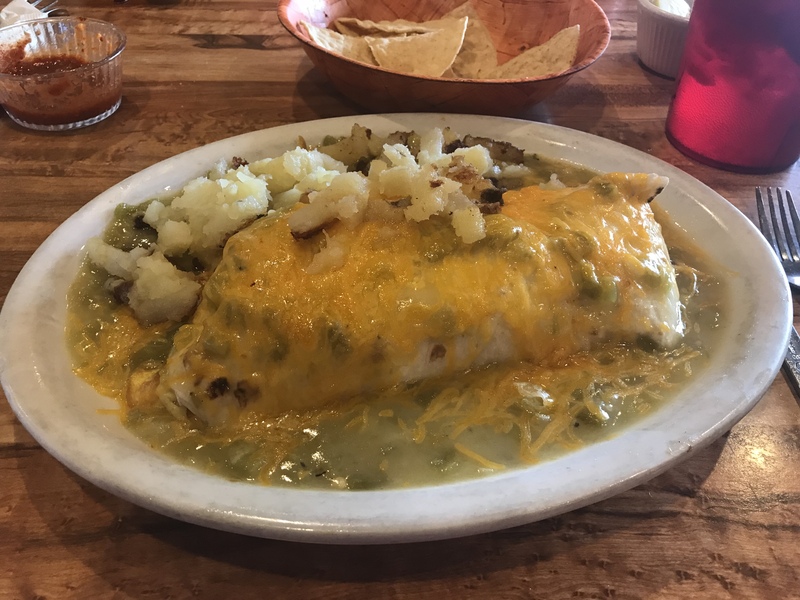 The green chili in New Mexico put your tastebuds in a place of fiery ecstasy. I can promise you there is nothing cold about this stuff. We have a community magazine called Wilson Living, and the folks over there asked me to write an article about anything I wanted. 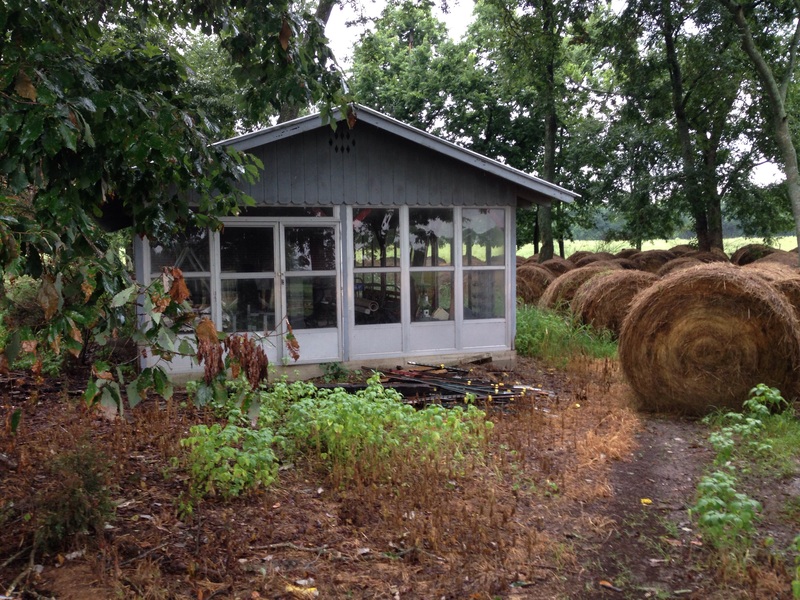 A lot of topics went through my mind, and I settled on writing about growing up on the outskirts of town. If you would be interested in reading it, then you can get to it by clinking this link. Man, an oil slick like writer’s block has oozed its way over my brain. There is absolutely nothing in my mind that can be transferred onto the screen. It could be because school is about to start, and there is a lot to think about. It could be because I am operating three Twitter accounts. It could be because the blogging part of my brain has shut down. How do I break out of it? Just throw some stuff out there and see what happens. Magic and Bird: A Courtship of Rivals, a documentary about the careers of Magic Johnson and Larry Bird, is on television. I have seen it a bunch of times, but it never gets old. In those days, I was a fan of the Boston Celtics and lived and died with their games. We did not have professional teams in Tennessee, and, like a lot of other people without a home team, I had to pick a favorite from somewhere else. In the NBA, people chose between the Lakers and the Celtics. A friend of mine wanted to be different and picked the Philadelphia 76er’s. The same thing happened with the NFL. Those of us in the hinterland without teams had to choose. This time, it was between the Pittsburgh Steelers and the Dallas Cowboys. Although, that same friend went with the Miami Dolphins. The Dallas Cowboys were my choice, and, like with the Celtics, I lived and died with their games. One year, my dad took me to see the Cowboys play the Chicago Bears. I can still remember walking into Texas Stadium and seeing the cheerleaders dance onto the field. 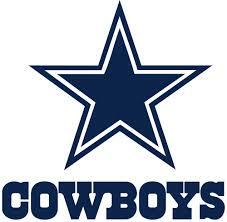 There was Roger Staubach, Tony Dorsett, Ed “Too Tall” Jones and Randy White. Walter Payton ran all over the place for the Bears, but the Cowboys came from behind to win. I never saw Larry Bird and the Celtics, but, ironically, I got the chance to see Magic Johnson and the Lakers. It was the late 1980s, and they were playing against the Detroit Pistons. My dad did business with the owner of the Pistons, and we got to sit in his box. We also got to sit courtside for a while. We stayed at the same hotel as the Lakers, which was also cool. We had breakfast at the table next to Pat Riley, the Lakers coach, and we were standing outside while the team boarded their bus. The players were huge. Those were great experiences, but things change. 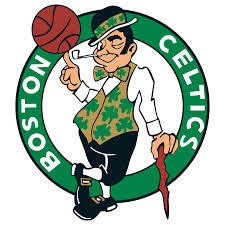 I no longer watch the Celtics, but part of me still keeps up with them in the standings. Nashville has an NFL team, and we have season tickets for the Tennessee Titans. I have watched them in the Super Bowl, and I have watched them through the depths of losing seasons. They are my team. However, I still keep an eye on the Cowboys in the standings. Oh yeah, I still do not like the Lakers, and I still do not like the Steelers. I grew up on a farm on the outskirts of town. It was not a farm with crops and stuff. It was more of a gentleman’s farm with some cows grazing in the fields. I write that to let you know that there was quite a bit of land. There was a grove of trees a good distance behind the house, and, in that grove of trees, sat a pavilion where we had family gatherings. When I was a kid, we hosted a Halloween party in that building that has gone down in family lore. When Halloween arrives, I will need to tell you about that. However, that Halloween party is not what I remember most about the building. We had just finished supper when someone appeared at our front door. I do not remember what he looked like, but I remember what he was doing. He was walking across the country and needed somewhere to stay for the night. My parents invited him in and served leftovers to him from our meal. I distinctly remember my mom apologizing because all of the meat was gone. Only the vegetables were left. He was appreciative and talked about his journey while he ate. He had met many nice people along the road. These people offered shelter and food. When his walk was done, he was going to write a book about his adventures. I do not remember if he was walking toward the east or toward the west. One way would have meant that his journey was just beginning, and the other would have meant that it was coming to an end. My parents did not mind him eating in our house, but they were uncomfortable with him staying there. Instead, they offered him shelter in the pavilion behind the house. I remember being there when they showed it to him, and he acted like it would work. I probably saw him the next morning, but that is another memory that has faded away. However, I think he said that he would send a copy of the book when it was finished. We never got that book. I have often wondered what happened to him. Did he make it across the country? Did he run into someone who was not as friendly? Did he write that book? Does he remember stopping at our house? I also think about how the world has changed in the past 40 years. If the same thing happened today would we let him in? Would he be taking as big a risk by going to the doors of strangers? I cannot remember his name, but I remember the night that the Walking Man came along and spent the night in the pavilion in the grove of trees behind the house. Like all kids, I knew that springtime brought the end of school, but it also brought a summer full of adventure. Every weekend, we drove or flew to a different city to bring together my second family – the softball team. When I say second family, I really mean that. The players were my crazy uncles who taught me the ways of life. Of course, a lot of those things were probably not good for a kid to hear. They helped me grow up and become who I am. They also made me part of the gang. At school, I was a nerdy kid who did not fit in with everyone. 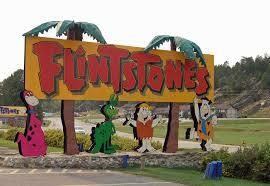 On summer weekends, I was cool because I hung around these guys. When they walked into a park, everyone knew who they were. As a result, they knew me, too. The games were fun, but I mostly remember the other parts. The long drives. Hanging out in the hotels. Eating at a restaurant and cleaning out the buffet. I cannot imagine growing up any other way. Last week, Tommy Everette, one of those players, passed away. We went to the funeral and heard a lot of people say a lot of great things about him. It was interesting to listen to people who knew him from his life outside of softball. He was a principal and a valued member of the educational community. In my world, he was one of the greatest home run hitters who ever picked up a bat. He hit balls that no one ever saw come down. There were several team members at the service, and we all gathered to take a picture. Allan – manager, general manager, recruiter, uniform designer. He did it all. My dad – sponsor of the team and the softball version of George Steinbrenner. Me – batboy, bookkeeper and a kid who learned more than he should have. Sam – great hitter who was the only local guy to make the move to the big time. Jimmy – suffered a gruesome injury at the state tournament in Cleveland, Tennessee. Eddie – played with us in the summer and with the Los Angeles Rams in the fall. Kenny – could hit a ball a country mile. Brian – another kid who grew up in the world of softball. Tommy Everette was his dad. Mac – the only player to be on all of our championship teams. 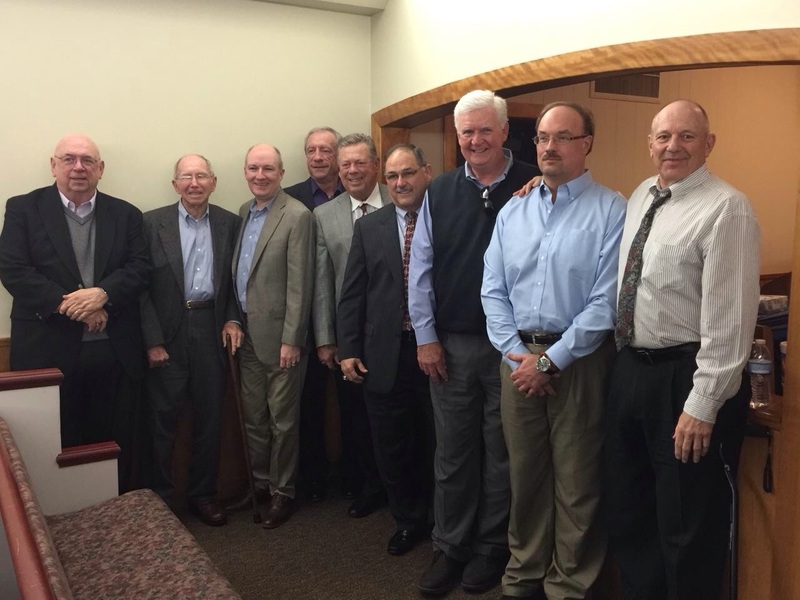 It was great to have some of them together again. Old stories were told, and there were handshakes and hugs all around. However, I realized something. I am older now than they were in those days. That is a strange feeling because I looked up to them, and it is hard for me to realize where I am in my life. When we were together, I still felt like that kid in the dugout watching them beat some team. We are all getting older, but, in my heart, they will always be the boys of summer. And, I will always be part of that team.